This is a photo of what things look like out at the farm these days. Not prepossessing at all. 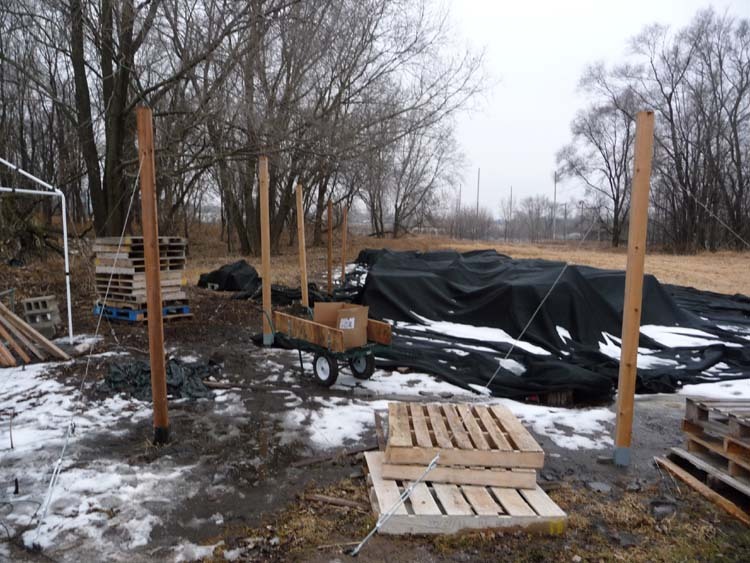 The shade structure is down, and I work on it from time to time, since it is being improved and expanded for next year. Still, the most remarkable thing to me as I walk around there is that these inert looking logs that haven’t done anything for six months will actually produce mushrooms in a couple of months. I have a few years of experience by now, seeing the first seemingly inert logs produce their first spring mushrooms, but I still have moments of incredulity that they will do this. At this point, it’s a matter of trusting and waiting.